Johan's House inspired by Mohd Johan and family. 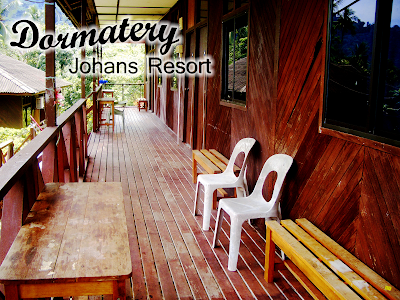 Originally Johans Resort to operate the three units of chalet type units Afarme and a cafe. 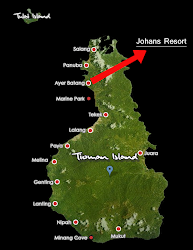 The tourism industry continues to grow so Johans Resort rival to existing resorts in Tioman Island. We the people Johan Resort and look forward to welcoming you to the best treatment....Thank you. Air Batang: The best village for snorkeling. At ABC (the far end of the beach) one can snorkel around the rocks towards panuba with a full reef full of colourful coral and fish. Its not too deep, making it perfect for snorkeling. Even more colourful is the reef on either side of the jetty where one can see turtles and a vast garden of yellow coral.